Home » WOD Blog » Play! -Today’s variation for those that do not have a muscle up will be to substitute 5 chest to bar pullups and 10 push ups. If available, try either the pullups or the pushups on the rings. For the pushups, focus on keeping your elbows in tight to the body and using your triceps! 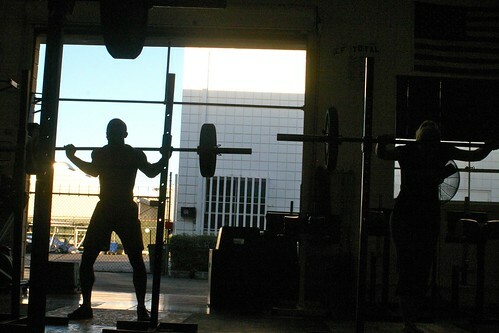 -Reduce the deadlift weight to something that you can handle without losing form. If you are not sure, too light is always better than too heavy! -Use caution when performing GHD situps in a wokout. The progression from beginner to more advanced is as follows: Total beginners, only use the GHD in warm up and use an abmat for your situps in the workout; Some experience, perform the GHD situps for half the rounds and half the rounds on an abmat; More experience, perform all rounds on the GHD, but only go as deep as you can control and keep your arms across your chest instead of reaching over your head. -Sorry, no help on the sprints, pick up those feet as fast as you can!! So far the Games have had swimming, running, throwing, hand walking, biking, traversing, and carrying odd objects in addition to classic crossfit movements. Not the average gym fare for sure, but our fitness prescription also includes regularly learning and playing new sports. With one day to go, who’s it gonna be? Post predictions to comments.